New Acquisitions – African American history marketing and promotional posters, 1967-1984. In response to the Civil Rights movement of the mid-20th century, many advertisers began to see the African American market in a new, and profitable, light. Advertising campaigns were developed over the next few decades celebrating African and African American heritage as a method of advertising products to this demographic. 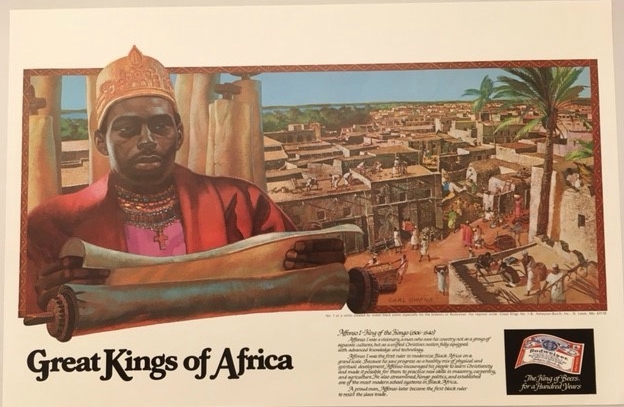 The Rubenstein Library’s Hartman Center for Sales, Advertising & Marketing History and John Hope Franklin Research Center for African and African American History and Culture jointly acquired this collection of 48 items showcasing black Americans through advertisements and political campaigns aimed at African Americans from the 1970s through the 1990s. 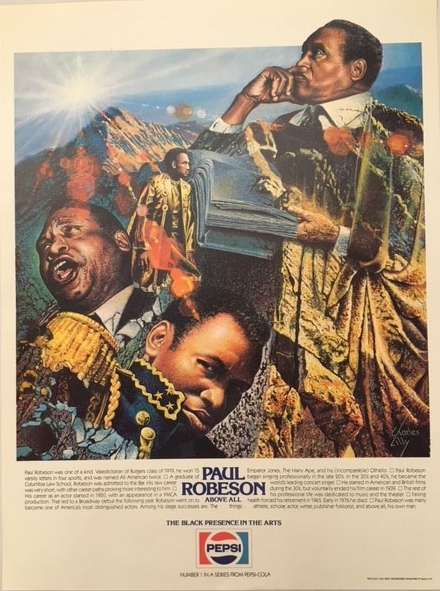 Collected by a former public relations associated with the NAACP, this collection represents some NAACP marketing work and advertising images depicting notable African Americans and significant moments in African American history. These posters include biographical sketches of African American writers, scientists, professional athletes, soldiers, civil rights workers, entertainers, and other historical figures. 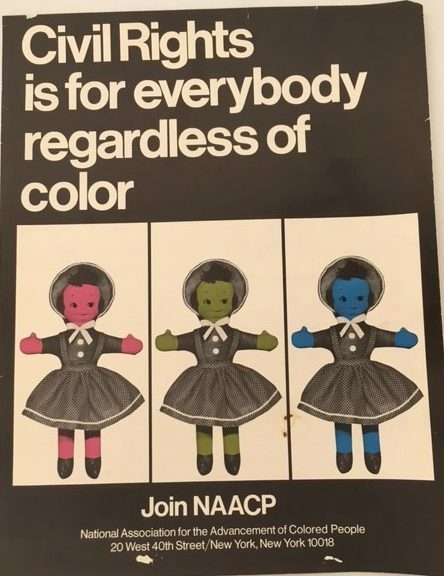 Included are also a number of posters produced by and for the NAACP that the organization’s campaigns to reduce poverty and school dropout rates and increase voter registration and membership in the NAACP. Notable advertising campaigns include Budweiser’s “Great Kings of Africa” Series, Pepsi Cola’s “The Black Presence” Series, and the CIBA-GEIGY Corporation’s “Exceptional Black Scientists” Series. Exceptional Black Scientists, CIBA-GEIGY, 1980-1984: These posters are meant to celebrate current scientific leaders of African American descent and inspire minority students to pursue careers in science. Each individual selected had recently made a substantial scientific discovery in their respective field. The posters are derived from portraits done by noted black artist and illustrator Ernest Chrichlow. This series was advertised directly to teachers, and was meant to be placed in the classroom, science fairs, or community centers. Black Presences, PepsiCo, circa 1980s: A series of posters, that celebrated the African American ‘presence’ in America’s history and culture. 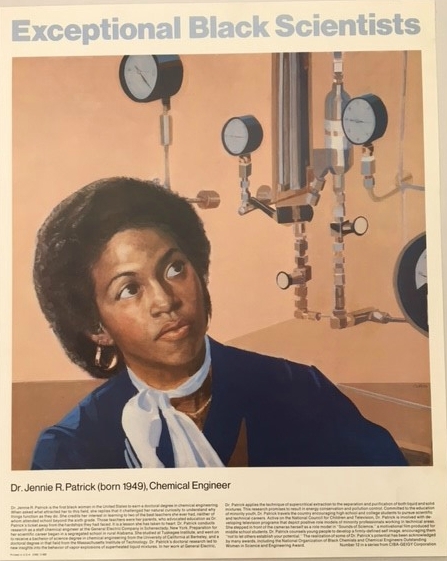 Each poster features a portrait of the individual selected, a short biography, and is entitled by the category of culture (arts, sports, history, etc.) that the individual belongs to. These posters are available to researchers in the Rubenstein Library.